New stuff since the last time . . . INK & DAGGER – Love Is Dead 7″ (six feet under) – I found this at Amoeba in San Francisco last week. This band doesn’t exist b/c the lead singer died, but I know lead singer of Thursday performed with them live on Halloween a couple years back. Repress of a 1996 release. Clear vinyl, issued in 2010. 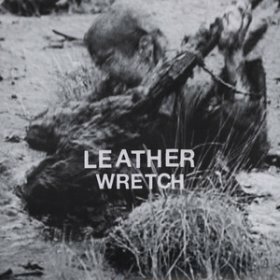 LEATHER – Wretched 7″ (fan death) – Four song EP from these mislabeled Philly punk kids. This release is more catchy and sing-a-long compared to Sterile 7″ and Achorite 7″; maybe their harsh sound is recorded with more clarity? Insert with lyrics. STEVE MOORE / MAJEURE – Brainstorm (temporary residence limited) – While not predictable musically; sonically it is exactly what you should expect from these two modern sci-fi prog masters from Zombi. Comes out this February on Temporary Residence Limited. THE MURDER CITY DEVILS – Every Day I Rise/ Ball Busters In the Peanut Gallery – First release in a Decade. On black, pink and white vinyl. They might already be sold out but you can order it from their website. PRINCE RAMA – Trust Now (paw tracks) – Released this past October. Playing Sxsw, Bro Fest 2012 in March and Psyche Fest in Austin this April. Listen here. 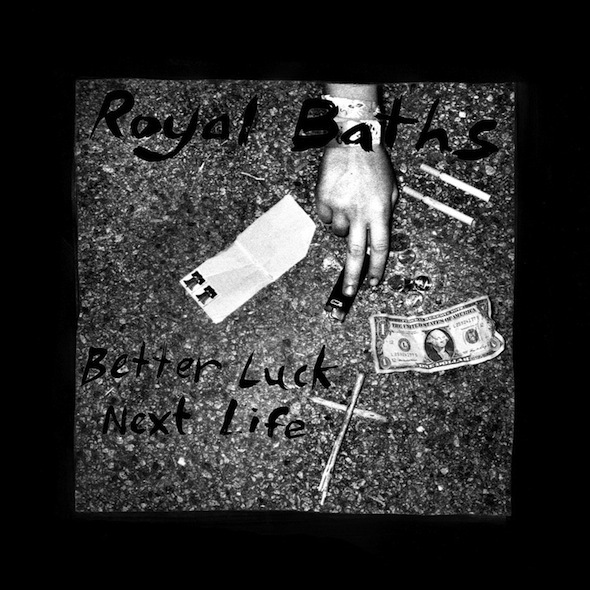 ROYAL BATHS – Better Luck Next Life (kanine)- Austin’s Royal Baths are really making some steam with this new release… I hosted them a while back, during their HoZac Records days, I think with The Fresh & Onlys. Currently on Kanine Records. WILD//TRIBE – Endless Nights 12″ (rescued from life) – Japanese inspired dueling vocals old-school punk rock from Fort Worth. Listen at their bandcamp. This entry was posted on January 22, 2012 at 11:00 pm, filed under News and tagged brainstorm, ink & dagger, leather, majeure, mp3, murder city devils, prince rama, royal baths, vinyl, wild tribe, zombi.